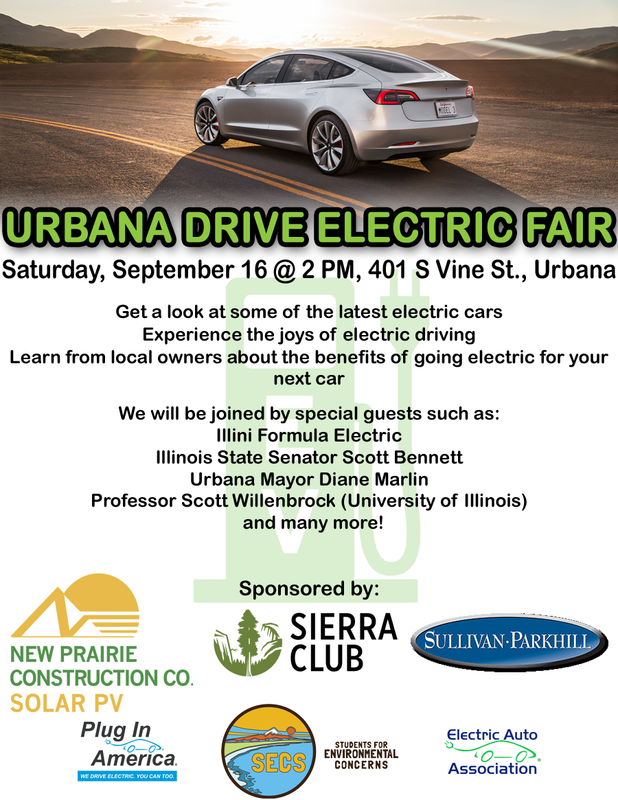 Urbana Drive Electric Fair was a resounding success! Unfortunately, State Senator Scott Bennett could not attend, but Urbana Mayor Diane Marlin and Sustainability Director Scott Tess, as well as University of Illinois Professor Scott Willenbrock, gave remarks about the importance of EVs and renewable energy within the City's Climate Action Plan. We had over 20 EVs throughout the day, including some rare ones (in Central IL, at least) like the Chevy Bolt EV, Ford Focus Electric, Cadillac ELR, and even a homemade Volkswagen Golf conversion! Guests were full of questions for EV owners, and left with brand new insight into EVs. Two local news stations covered the Fair. 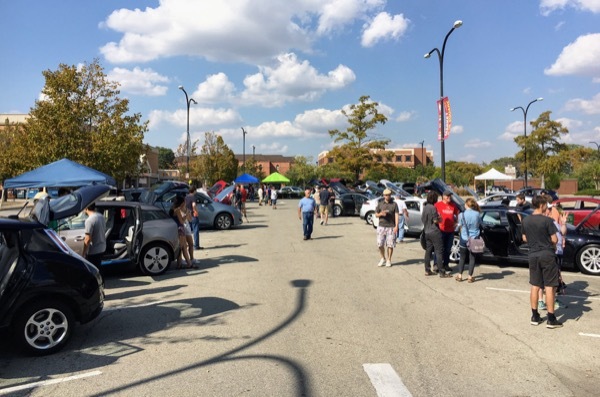 All in all, a FANTASTIC first Drive Electric event here in Urbana, IL! National Drive Electric Week comes to Champaign-Urbana! The future of transportation is electric - the luxury of charging at home, skipping gas stations, and driving on clean energy are just some of the many reasons to switch to electric vehicles (EVs). With current all-electric models like the Nissan LEAF, Chevrolet Bolt, and Tesla's Model S, X, and upcoming Model 3, affordable and practical EVs are sweeping the nation. Join our event for a look at some of the newest EVs available from local dealerships, experience the joys of electric driving, and learn from local owners about the benefits of choosing an EV for your next car. We will also be joined by Illini Solar Car, Illini Formula Electric, Illinois State Senator Scott Bennett, Urbana Mayor Diane Marlin, Professor Scott Willenbrock (University of Illinois), and many more! Click the blue "register" button at the top of this page for a chance to win a $250 gift card. Registered attendees report 514,823 electric miles driven.